Day 01. 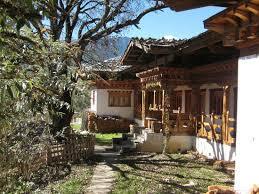 Arrive Paro (Altitude 2280 m) – Thimphu (2320 m). Day 02. Thimphu Sightseeing: (Altitude 2320 m). Day 03. 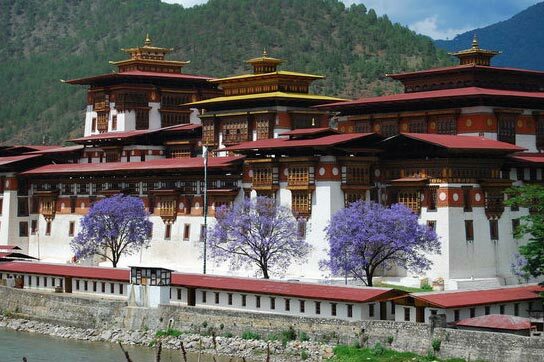 Thimphu – Punakha: (Altitude 1310 m) (76 Km, 3 hrs drive). Day 04. 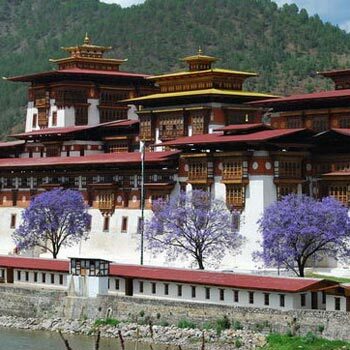 Punakha – Trongsa – Bumthang: (Altitude 2800 m) (Distance 188 km). Day 05. Bumthang Sightseeing: (Altitude 2800 m)..
Day 06. 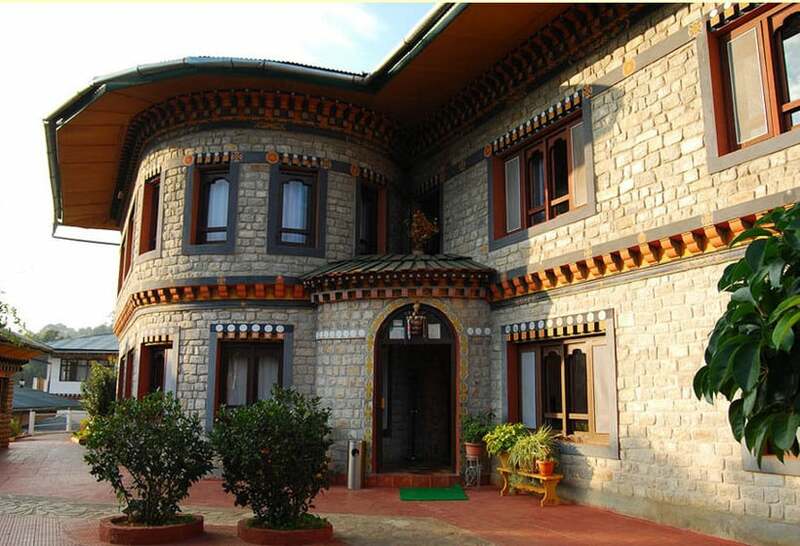 Bumthang – Thimphu (274 km). Day 07. 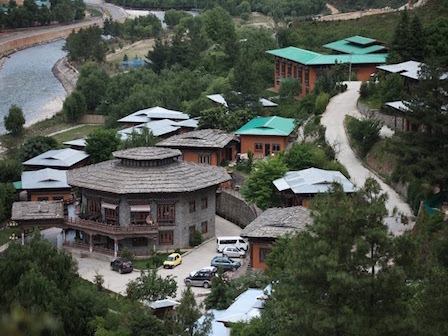 Thimphu: (Altitude 2320 m). Day 08. 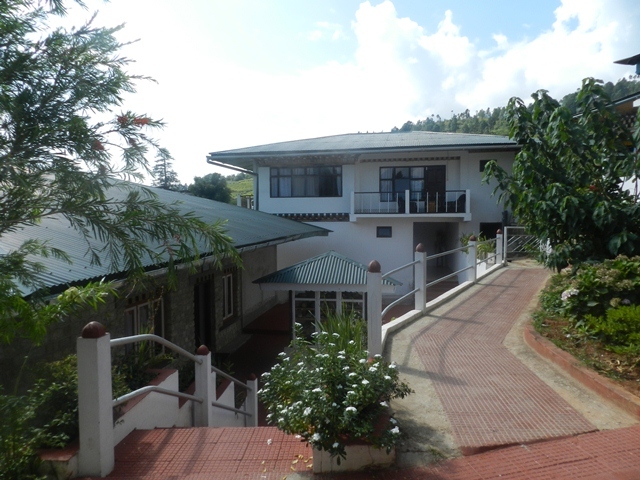 Thimphu – Paro: (Altitude 2280 m). Day 09. Paro Sightseeing: (Altitude 2280 m). After breakfast, drive to Trongsa. 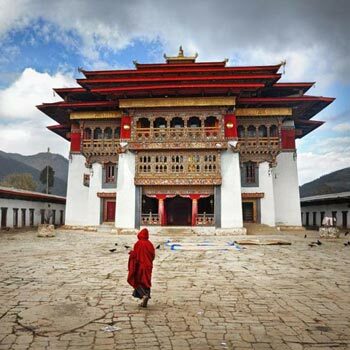 Visit Trongsa Dzong, the most impressive Dzong in Bhutan, built in its present form in 1644 by Chogyal Minjur Tempa, the official who was sent by Shabdrung to unify eastern Bhutan and enlarged at the end of the 17th century by Desi Tenzin Rabgay. 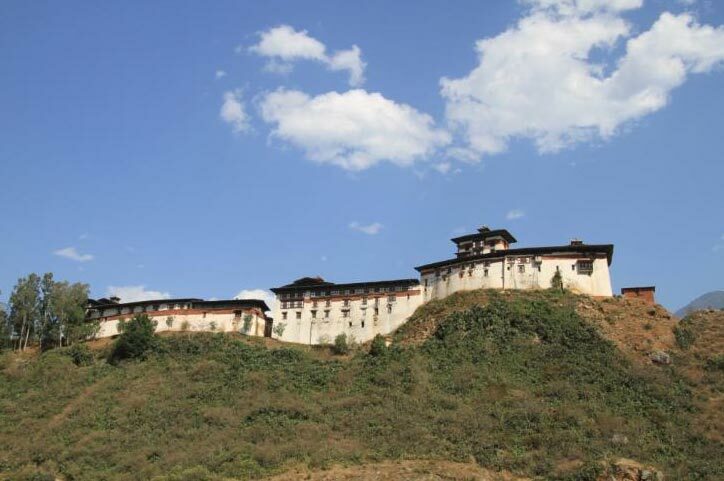 Trongsa Dzong is the ancestral home of the present Royal Family and first two hereditary kings ruled Bhutan from this Dzong. 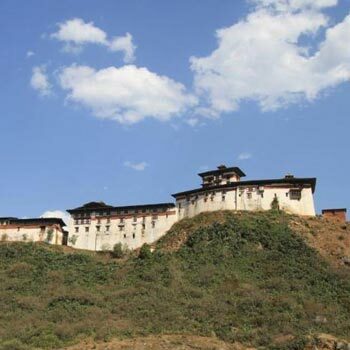 After Lunch, visit the Ta Dzong, an ancient watch tower. 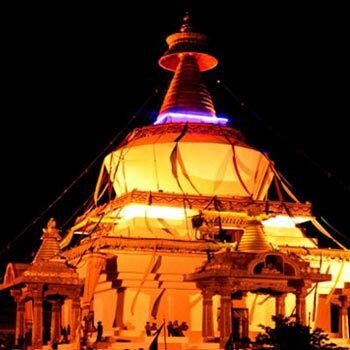 The chapel inside the Ta Dzong is dedicated to the Trongsa Penlop Jigme Namgyal. 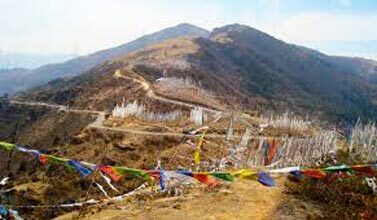 Drive further to Bumthang. 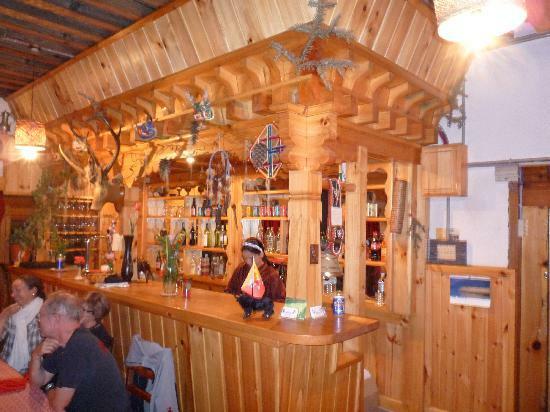 Dinner and overnight in Swiss Guest House or similar. After lunch, visit Membarstho, which literally means, “The Burning Lake”. 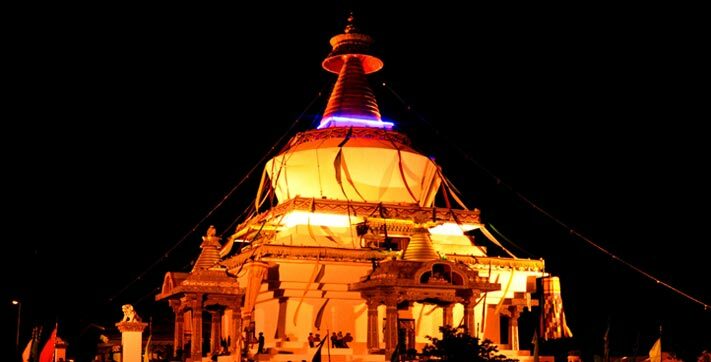 It was here that the Terton Pema Lingpa discovered the treasures hidden by Guru Rimpoche in the 14th century. 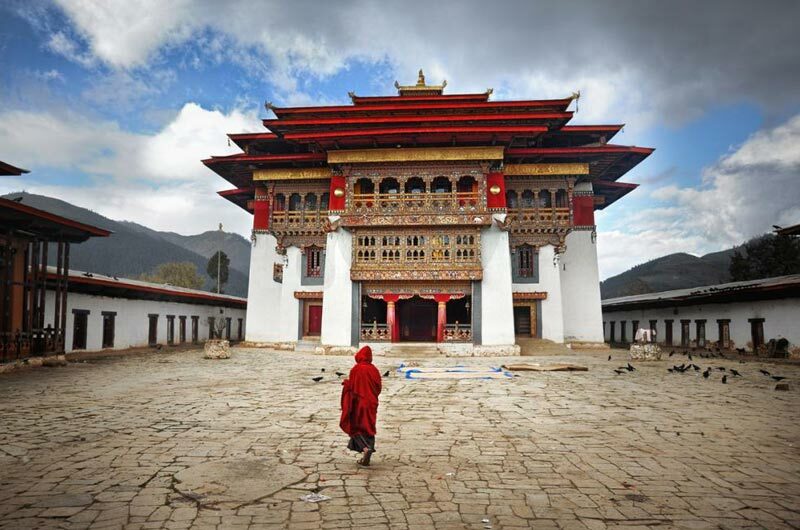 After lunch, visit Changlimithang to witness the archery match. If it is a weekend (Friday – Sunday), visit the Centenary Farmers Market. 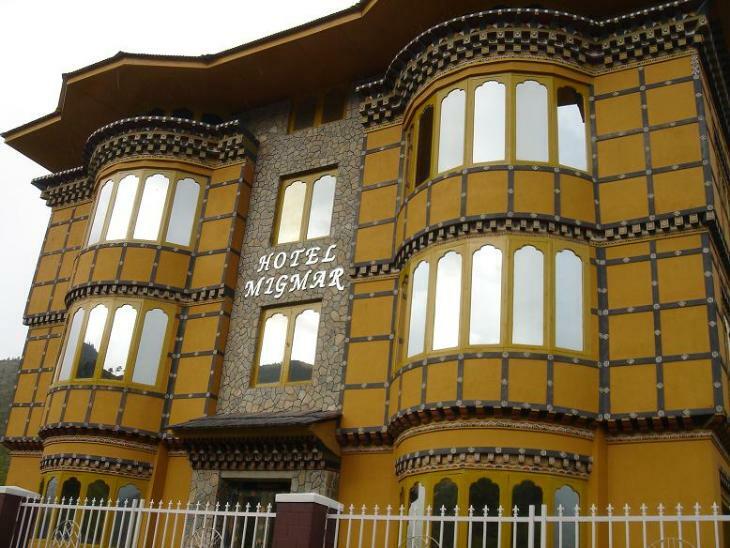 Dinner and overnight in Hotel Migmar or similar. In the evening, visit to a farm house. 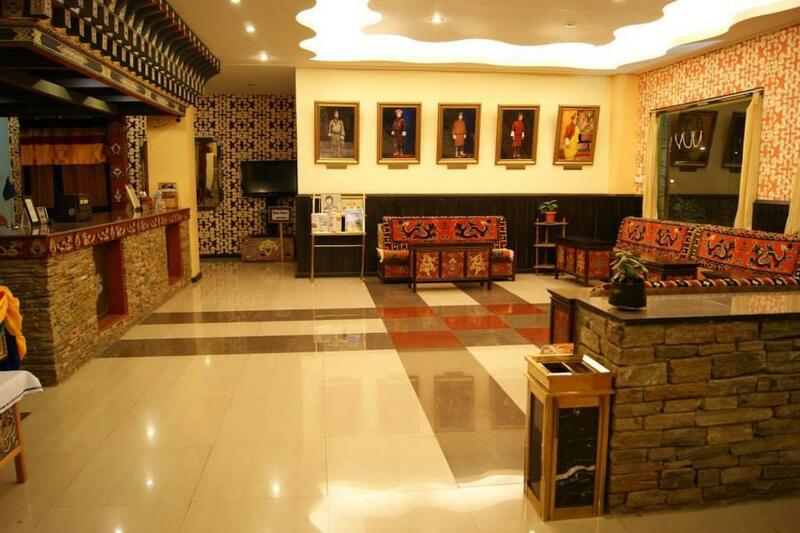 Dinner and overnight in Tashi Namgay Resort or similar. 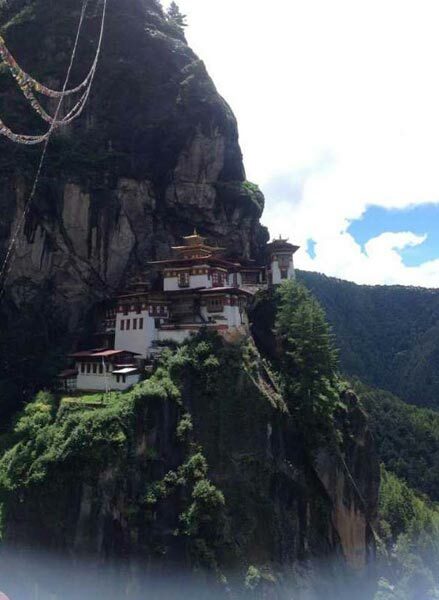 After breakfast, drive to the base of Tiger’s nest and hike to Taktsang Monastery: a short drive takes us to Satsam Chorten, from there a 2 hour walk till the viewpoint point of the monastery. The trail climbs through beautiful pine forest, many of the trees festooned with Spanish moss, and an occasional grove of fluttering prayer flags. 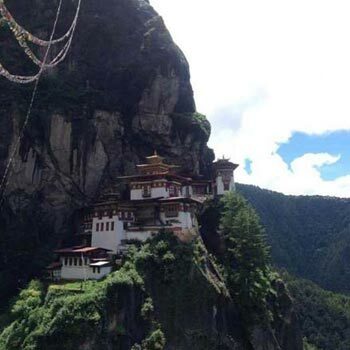 We stop for a rest and light refreshments at the Taktsang Jakhang (cafeteria) and then walk a short distance until we see, clearly and seemingly within reach, Taktsang monastery. The primary Lhakhang was built around Guru Rimpoche’s meditation cave in the 1684by the Penlop of Paro Gyaltse Tenzin Rabgay, this incredible monastery clings to the edge of a sheer rock cliff that plunges 900 meters into the valley below. 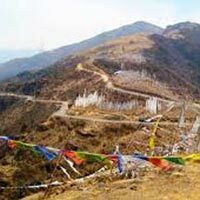 Legend has it that Guru Padmasambhava, the tantric mystic who brought Buddhism to Bhutan, flew here on the back of a flying tiger, Dorji Drolo, said to be his favourite consort. NB: You can hoist prayer flags near the monastery, and offer your prayers inside the monastery. You can also request lama to pray for you.